This is the plate part of the Brompton Hinge Clamp Assembly. 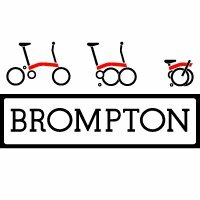 The Brompton has two Hinge Clamps (one on the main frame, the other on the handlebar stem) which make the bike easy to fold, and ensures the bike never folds when you're riding it. It therefore makes sense to replace this spare part when the original shows any sign of wear.